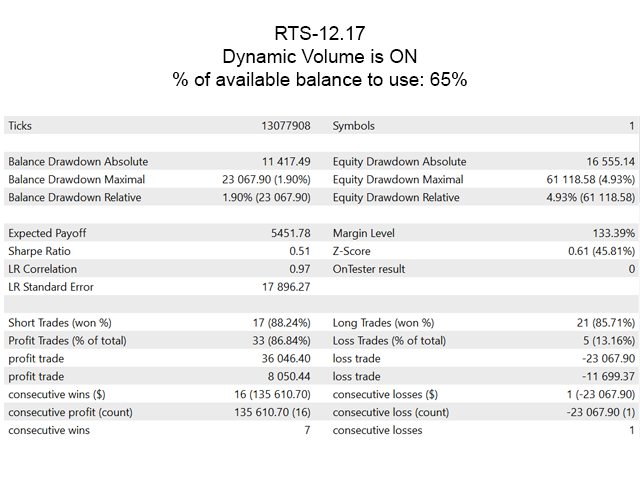 Plug’n’Trade RTS is a trading robot with a minimum amount of input parameters. The robot is designed for trading the RTS futures contract on FORTS. 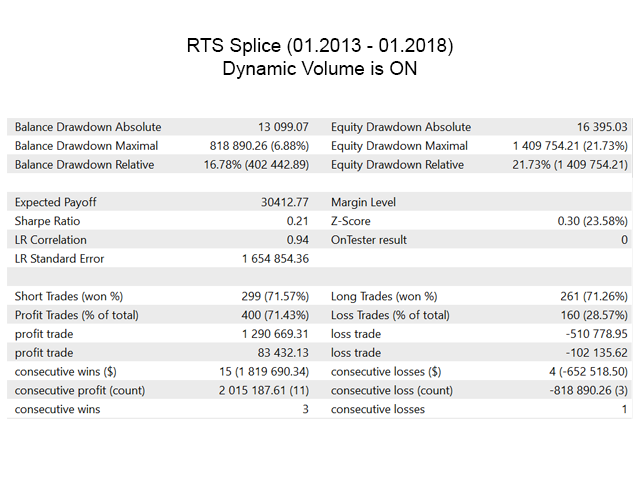 Plug’n’Trade applies unique technical indicators for a mathematical analysis of the price movement. 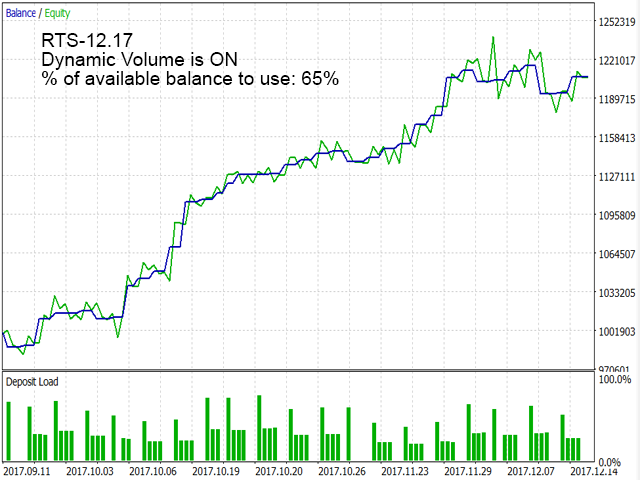 The robot automatically sets optimal stop loss and take profit levels. Plug’n’Trade trades on M15. The robot performs all calculations when a new candle forms. It needs no optimization and is ready to use. Plug’n’Trade should be running on a valid RTS contract with M15 period. The robot performs all calculations when a new candle forms. Therefore, the robot should be enabled before each new candle forms. Calculations for the first morning candle are performed 5 minutes before the market closes (23:45 MSK). This function reduces slippage. The robot does not change the contract automatically. This is why, close a trade on an expiring contract before the futures expires and launch the robot on a new one. 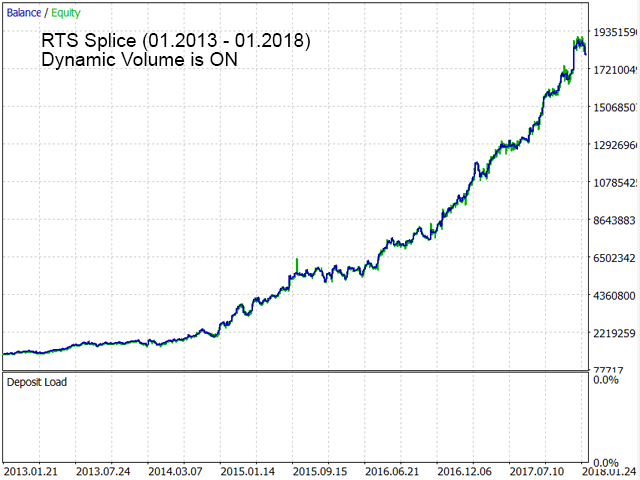 I recommend launching a robot on a virtual MetaTrader server not to miss entry or exit points which is most important when the robot takes profit. 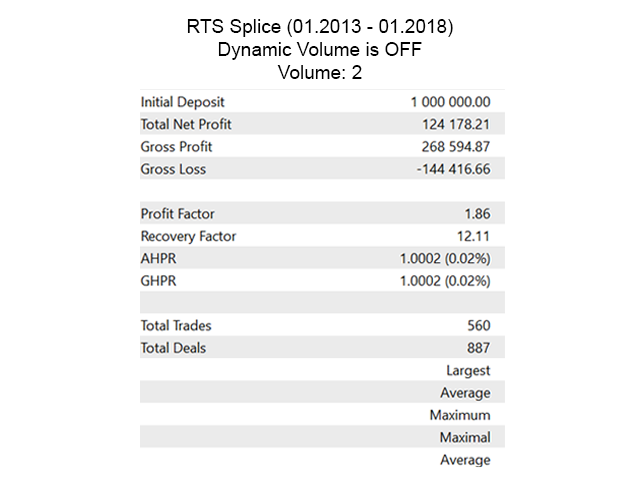 Volume – fixed volume (number of traded contracts) to be used by the robot if dynamic volume is disabled. 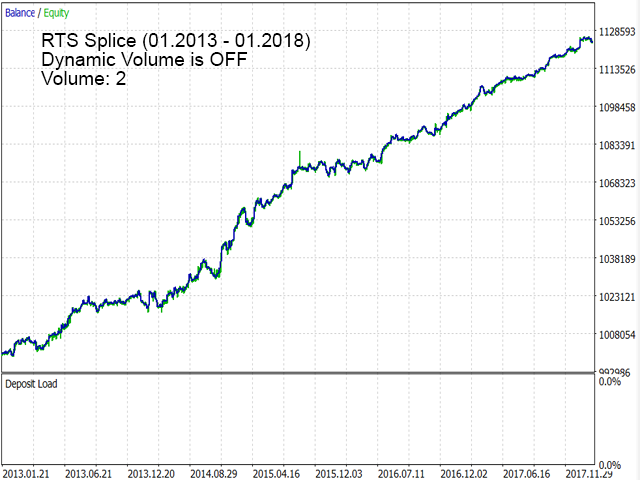 Recommended minimum volume is two contracts since the robot fixes a part of profit closing a half of a trade. 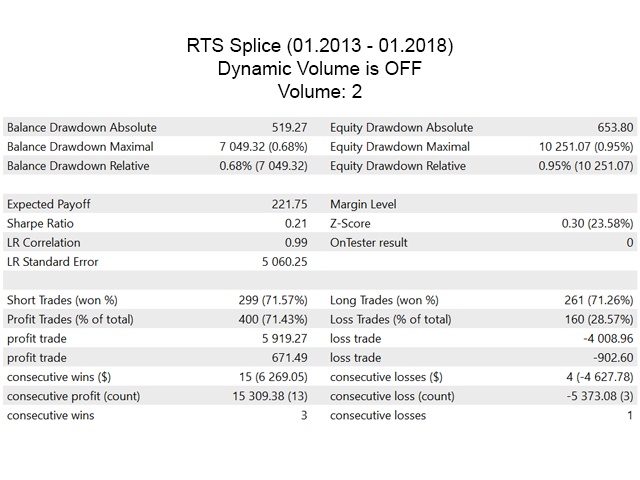 Dynamic Volume – if True, dynamic volume enabled. In a dynamic volume, the robot uses a predetermined percentage of the account balance. 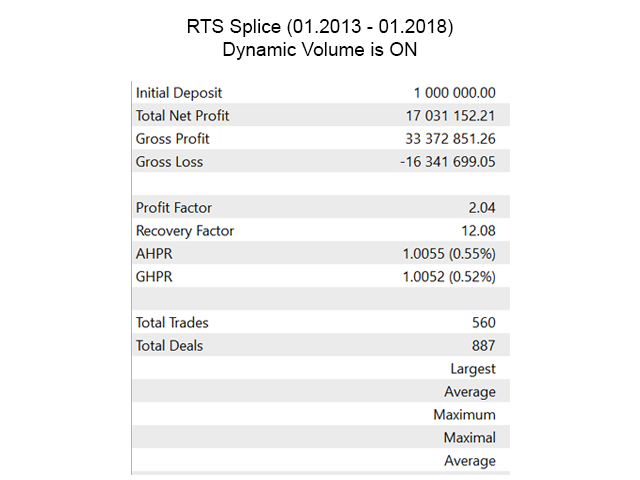 With the growth of account balance, the traded volume automatically increases, and in case of drawdown – decreases. 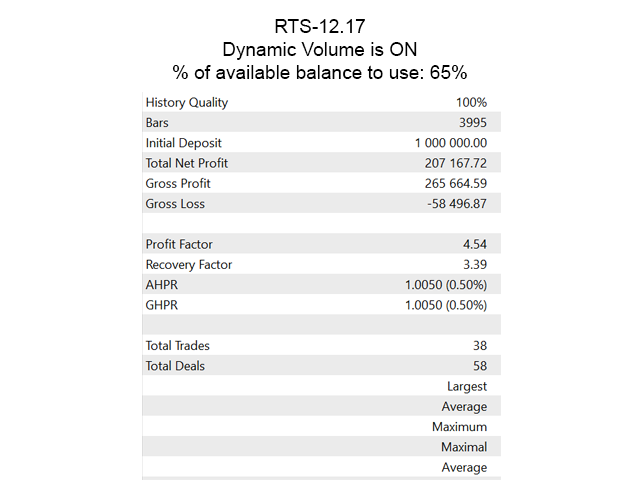 % of balance to use – % of the account balance to be used for trading if the dynamic lot is enabled. 1. Partial profit fixing is performed later. 2. The robot hold a position open longer in case of a strong trend. This allowed to improve profitability. - Improved the algorithm of calculations for the first morning candle, which are performed 5 minutes before the market closes (23:45 Moscow time). - Added calculations before the evening clearing. This allows reducing the possible slippage after clearing.